Here's the jj1 original planet medivo look loading screen. Oh yes well then, it certainly looks different but still in the same theme/however you should really get rid of the white borders as I said. 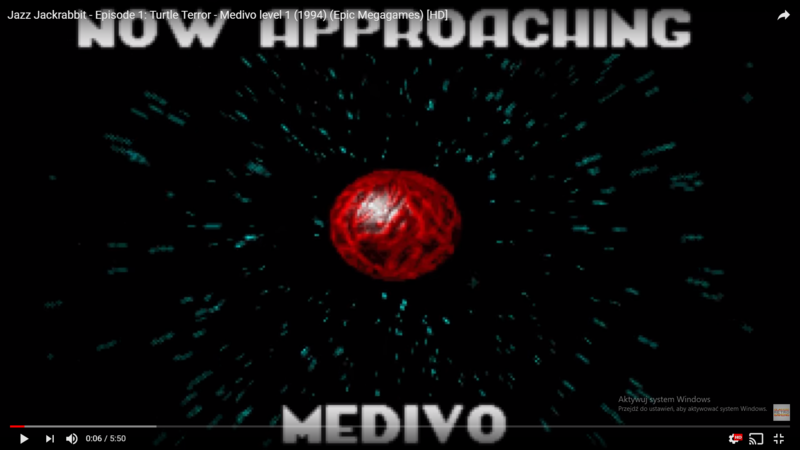 How could you describe original jj1 loading screen only speakin of planet medivo design from 1994?This could be helpful to make planet medivo look much closer to original concept. 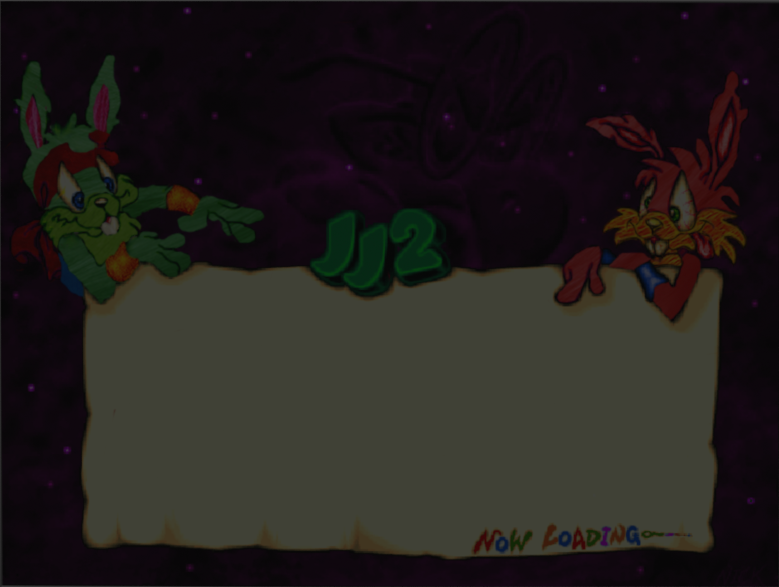 So today I will show you jj2 loading screen in hd after I will take a break because I think I'm uploading this too often. The xmas enemies aren't unused, they show up in all the HH98/CC99 levels. 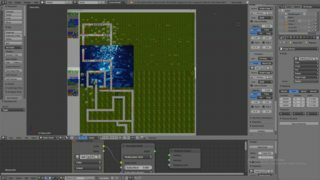 VioletCLM do you have any plans application that could be jj1 bonus stage level editor?Is such a thing is possible?You know I mean debugging that you can at least preview jj1 bonus stage pixelated 3d maps.I think it won't be impossible to do.I watched youtube video tutorials how to make maps in Build Engine.I guess this engine were made for games like Elder's Scrolls,Doom,Wolfenstein 3D,Duke Nukem 3D and perhaps Jazz Jackrabbit 1 bonus stages,am I right?I'm sorry that I mentioned pc games that aren't related only to Jazz Jackrabbit.I asked you because I want to know how to recreate bonus stages in hd. 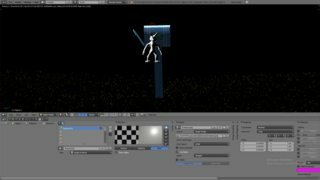 The latest version of my Jazz Jackrabbit 1 level editor. 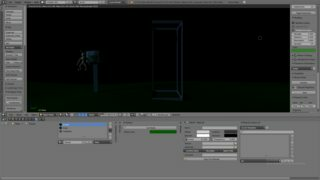 The biggest difference with the previous versions is the addition of a simple bonus level editor. Thanks Stijn.I can't run this jj1 level editors.I was trying to open,but error message popped-up that I should run this in Jazz Jackrabbit directory.I extracted J1E compressed.zip to file to folder where I downloaded Jazz Jackrabbit 1.I also tried to run this as admninstrator,but nothing happened.It's working now I had to drag JAZZ.EXE to J1EBonus.exe.How to preview 3d backgrounds in jj1 bonus stage maps by using J1EBonus.exe? Last edited by luke11685; Jun 16, 2018 at 08:26 AM. 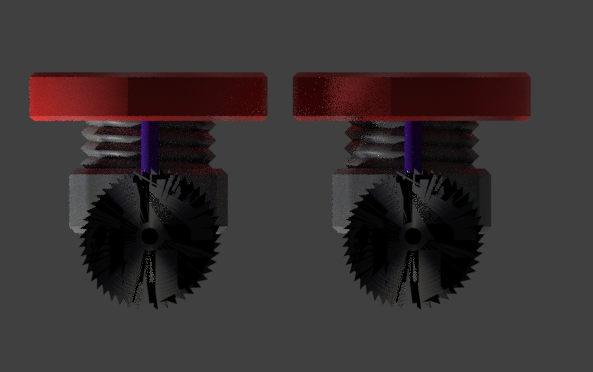 This time I will show you springs two of them( will look like that ones from Sonic CD in Metallic Madness act.3.I'm not sure if it's looking good I mean these circular saws aren't looking like that ones of sawmills where you can cut woods on half horizontally. 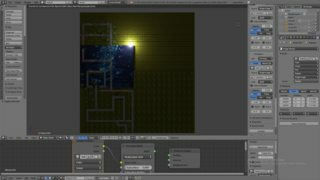 Today I made my first jj1 hd bonus stage 1 tileset.After that(I'm taking another break) I will finish jj1 bonus stage as 3d map at this time and then I will show you my results.It will take some time.Hey what you will say about J1E HD Bonus Level Editor including 3d rendered tilesets...etc.Still wip. in next time I'll try to not rush myself about these bonus stage maps.I'm afraid I won't finish this things got complicated today i was cleaning few keyboard buttons(with ear sticks soaked with alcohol)that most important keyboard "G"still doesn't work correctly.Now my keyboard is 5 years old.Once again sorry for disapoinment. 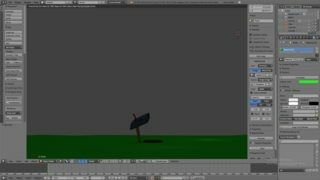 Last edited by luke11685; Jun 25, 2018 at 01:32 PM. 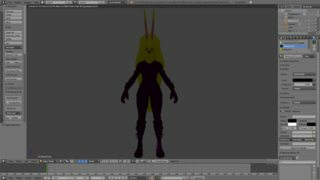 Hey guys sudden temporal shift of plans for a while I made my first skin from Jazz Jackrabbit series Ramirez(from Fortnite Battle Royale) Lori Jackrabbit skin.Wanna see or not?Soon I'll try to make map of Jazz Jackrabbit 1 bonus stage 1 in 3d view not as 2d tileset. 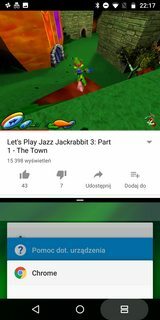 Okay so it's against the rules to duplicate posts mutliple comments I mean.But I'll take approximately one weak long break.For now this is really last time I want to show you scene of first intro cutscene map from Jazz Jackrabbit 1 in HD and older design of hud for Jazz Jackrabbit 3D 013D alpha including rest of my own fanmade custom Fortnite Battle Royale skins as for now Ramirez only.It's because I'm going on holiday in the mountains for 7 days.Do you think in future Epic Games will allow me to ship my Jazz Jackrabbit HD Trilogy just like Valve Corporation allowed to ship Half-Life 1 remake.As for now it's a lots of things to do first for instance new demos,full versions...etc.it will take a time years maybe even ages,but I'm satisfied and proud of myself of making this fangame.I hope you won't delete this comment.I hope European Parliament will never adopt law named E.P.I.C.A because I will have to pay very expensive licence for this fangame so permission will cost me a lots of money not exactly for authors/manuafacturers and publishers in this case Epic Games(they still own this old IP Jazz Jackrabbit which belongs to them),but probably for creators of EPICA only.I'm talking seriously right now it's not a joke.I know few users here who lives in europe just like me.Fanfictions and fanarts will require special very expensive licence. 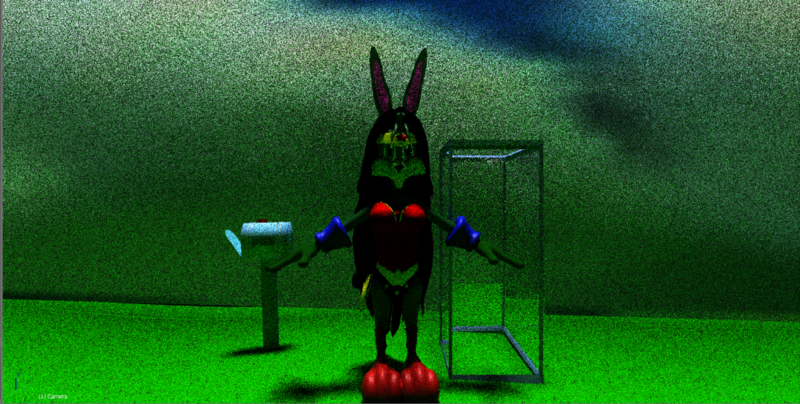 Ramirez my second attempt to make Lori Jackrabbit skin fanmade 3d model of this character. update 0,1&2 was made by me I created it 2 years ago 2&4 I made 1 year ago back then I didn't know how to apply textures in cycles render mode in Blender.Anyway I was trying to make more realistic textures for Ramirez clothes in colours of Lori Jackrabbit's clothes,but my RAM memory was too low to to do it so I made it more low poly.I tried to do this even for hair,but I wasn't fully satisfied. Last edited by luke11685; Jul 6, 2018 at 03:46 PM. 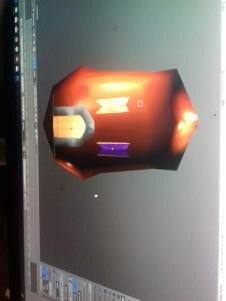 Generally speaking you will have better view if you will open it in Blender. 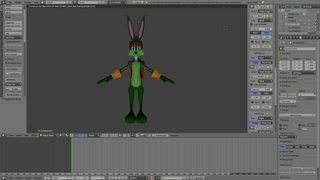 I didn't find my new Jazz Jackrabbit 3d model as screenshot.I only uploaded Spaz 3d model. 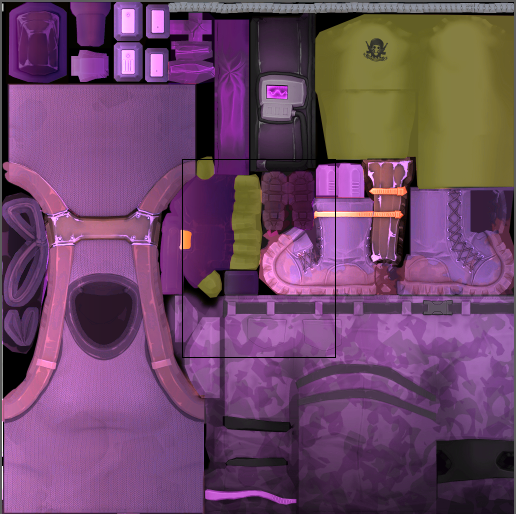 I think I will focus for a little bit longer of my own fanmade custom Fortnite Battle Royale skins.Today I made new one it's also my first attempt because I still have problems with extracting 3d models from Fortnite because of new AES encryption key(it's security protection to not extract game assets that easily way) from 12th July was latest update that it's too difficult to start thinking about Fortnite mods for now.If you're interested you can read it here https://en.wikipedia.org/wiki/Advanc...ption_Standard it might be little bit too complicated to understand it,but I don't think this post should be deleted.Now it's time for new Fortnite skin Ramirez a'la Jill of the Jungle. 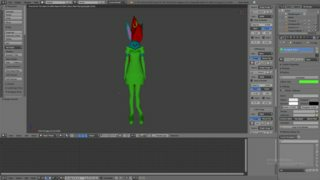 You guys so sorry,but I'm afraid I can't make Fortnite Battle Royale my own custom character skins mods no longer and show it on YouTube as video this could be probably against Epic Games rules that's their new IP indie game intellectual property so I don't want to be sued by them.I don't to pay them very high money penalties.I don't want to violate and cause copyrights infridgement I prefer to avoid this uneasy situation I really don't want to be affected with strict lawsuits never.It's too stressful for me to be forced to go to court.I wish I could distribute these custom Fortnite skins that I made,but I really can't. 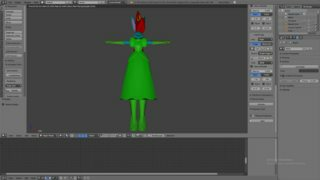 Today I was trying to redesign 3d model of Queen Earlong the Second. I was trying to follow this style of this artworks. In which dress she looks better to you guys? 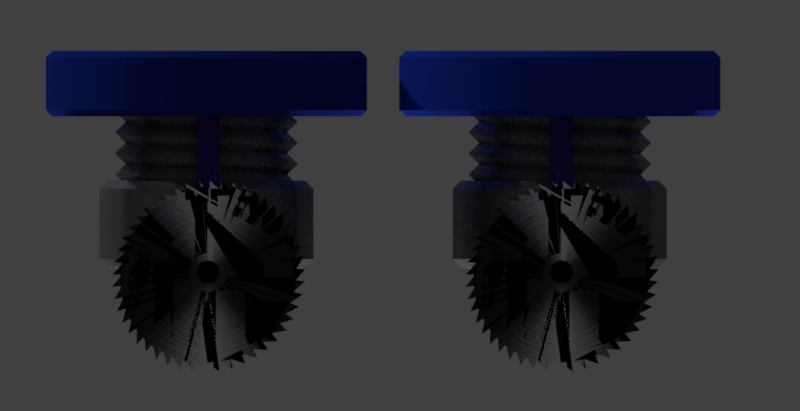 You can also open these 3d models in Blender if you want. 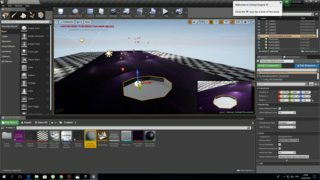 Would you like to see my first Unreal Tournament 4 level map mod it's one of Jazz Jackrabbit 3 multiplayer maps.As you see I'm making small progresses.Actually it's kind of map placeholder. 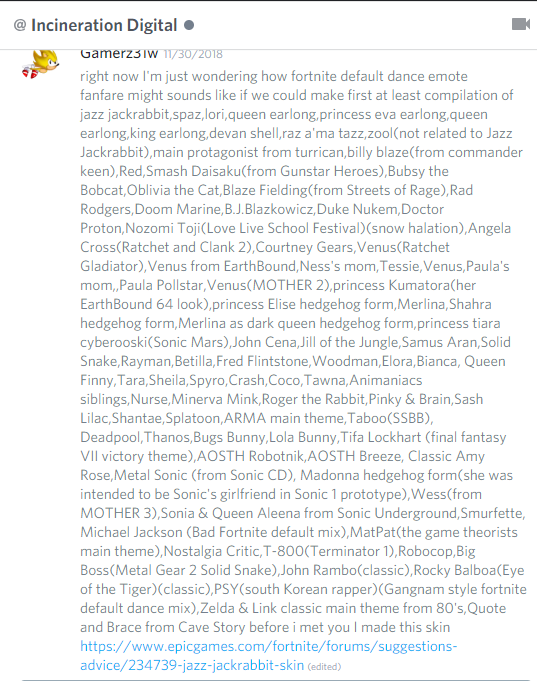 Before I'll make some jazz jackrabbit related demo or some stage mod I want to discuss about some theoretical explainations how to make at least Sonic Mania character mods for now.Would you like to know?Everyone on this forum can follow these tutorials if you want you can help me with modding Sonic Mania characters.For instance Jazz Jackrabbit instead of Sonic the Hedgehog,Spaz instead of Knuckles,Lori instead of Tails.Anyway did I show you this sonic mania character mod before?As I remember I showed you only making of Jazz 1 Remastered.Anyway let's back to topic. https://www.youtube.com/watch?v=8vVm72oPqvU back then I had everything in polish language my native one now i switched my windows 10 language settings so at this time everything is in english right now. http://www.mediafire.com/file/s7xkq4...ecial.ogg/file just copy and paste to destination folder of Sonic Mania.You can also use debug menu if you want. 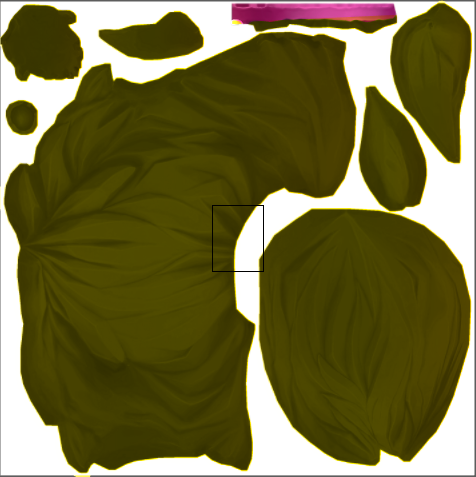 One week ago I was trying to convert one of Jazz Jackrabbit 3D alpha demo multiplayer maps named JMPForts by using tool named UT4X Converter.So I got very often situation in which lots of errors were occuring when I was trying to convert some.Few days ago I was trying to share level map called FortsMap.umap file in Share options,but errors were kept popping-up even DungeonMap.I will never(ever again) manually export unr maps from jj3d alpha demo in unreal editor 1 because here's what might happen if maps .t3d files(objects of map of JMPForts.t3d map is flat and geometrical static meshes are separated from each other and too flat as wireframes after building any map) scripts because so called example map is dark and blank before and after I added to black 3d background.I decided to show you my first and only one imported map from jj3d one of that multiplayer ones.After I converted and imported this map(thanks to ut4xconverter tool that was written in java) in Unreal Tournament 2016 level editor I was unable to show you .umap file of this map because I couldn't save this map via Share in unreal tournament editor.Also some vertices are missing and only some textures that were imported by me. -Showdown...etc.If you want to make custom UT4 jazz Jackrabbit 3 character skin mods check this link before starting swapping ut4 character NPC playable models honestly at least everyone can always try. So is someone here volunteer to this UT4 game modding project?Will there be revived old online multiplayer gaming servers or some ut4 modified servers? Last edited by luke11685; Jan 30, 2019 at 05:55 PM. 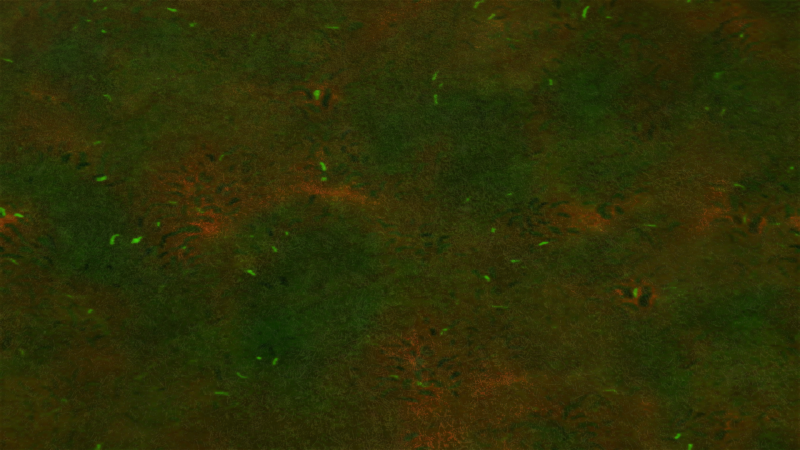 Today I finally exported this map from DM-JMPFortsMap.umap(unreal tournament 2016 level editor) to JMPFortsMap.pak so this map is now available on single player online match as one of custom matches maps so you can join to death match mode.Maximum 10 players are allowed and no more than 10 and not less than 6 players. 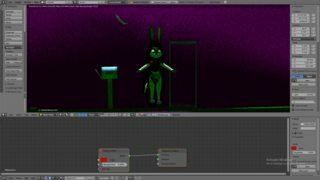 Only Jazz Jackrabbit model and other jazz Jackrabbit 3 multiplayer maps are things that left.I think that's enough for today (at least for now) more progress anytime soon. Well I thought this online card game will be at least open source Jazz Jackrabbit card game more for example like Dota 2 card game Artifact and Witcher Gwent,but more like standalone mini-game than some random online card games. Interview with Tim sucker Sweeney. "It’s nearly perfect for consumers already... There is no hope of displacing a dominant storefront solely by adding marginally more store features or a marginally better install experience," he said. "These battles will be won on the basis of game supply, consumer prices, and developer revenue sharing." 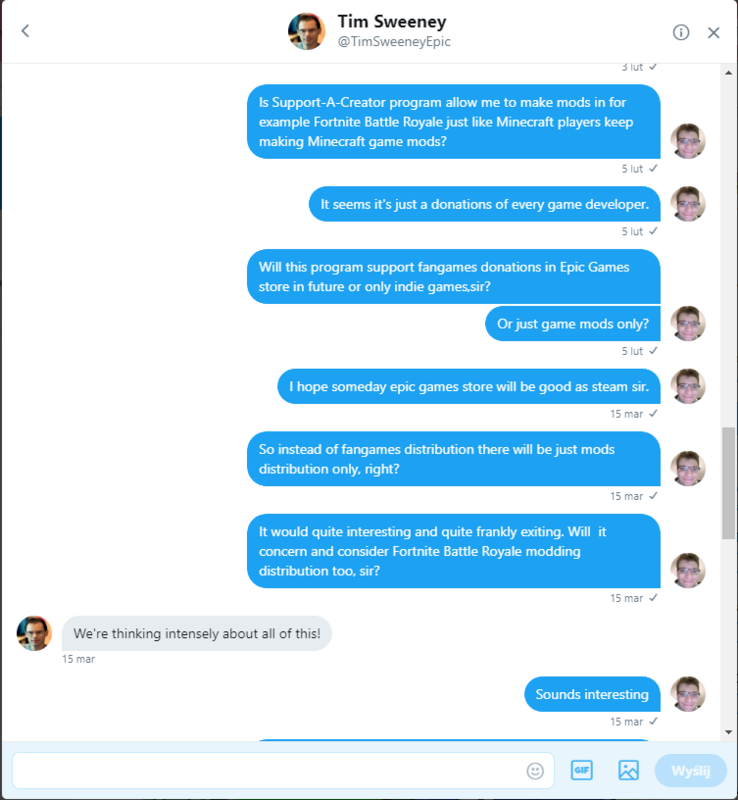 more details here https://www.youtube.com/watch?v=nv8lkz1a42M It seems are no chance to see fangames distribution(at least Valve Corporation helped Half-Life fans distributing Black Mesa Source in 2012) of fangames(literally remakes) distribution(Jill of the Jungle 1,2,3,Jazz Jackrabbit 1(including 3 additional chapters from jazz Jackrabbit CD-ROM conversion, Holiday Hare '94, '95),2(The Secret Files,Holiday Hare '98/Christmas Chronicles), Unreal 1, Unreal Tournament 1999, Unreal 2, Unreal Tournament 2004,Jazz Jackrabbit 3(only remake of two demos)(alpha demo development stage only just like unreal tournament 2016), Epic Pinball and that's enough about my requests list and mods distribution (maps from unreal engine 1995 tech demo on unreal engine/level editor 4, Fortnite Battle Royale characters modding,Xargon,Onesimus, Vinyl Goddess From Mars, modding remakes of unreal 1,2,unreal tournament 1999,unreal tournament 2004)It seems Epic Games Store will be focused on pc indie game exclusives and eventually games modding support as I see here https://trello.com/b/GXLc34hk/epic-games-store-roadmap only and more. Good news everyone sorry that you had to wait 4 months my request on their private message-like discord server named Incineration Digital(they made some videos on youtube about animated 3d random maps)(for a while it had name Nyctoware Interactive,but they were devided probably they are doing 2d animations so it could useful for unofficial jazz jackrabbit 1&2 remaster just like with sonic the hedgehog 1&2(2013)remaster exclusively on mobile devices I'm not sure it might a rumour you can find out if you could pay them small loan for fangame request I hope they know very well how to use Retro Engine and Headcannon engine both of these game engines were made by Christian"Taxman"Whitehead and Simon"Stealth"Thomley(currently they're working for Sega/Sonic Team)including user nicknamed Niko the (Big-just kidding)Boss CEO of Nyctoware Interactive/Incineration Digital founded in 2016 will take approximately above 6-9 months to finish entire compilation(I hope Youtube CEO,Tencent CEO,Epic Games CEO have nothing in mind it's open source non commercial use do not distribute stuff) of fortnite battle royale of summer 2019.That one from 2018 was deleted by user jomjom214 youtube banned this user probably due to copyrights infringement I heard BitTube is alternative for YouTube without content ID.It's not empty promises I will keep my word I'm not lying it's real it's happening.The rest informations will be kept secret so you have to wait several months to see this video on youtube they have youtube account profile however Incineration Digital small game studio located in Australia have no YouTube videos,yet.This compilation will not just jazz jackrabbit characters dancing default dance,but also just characters from another video games.As for now I won't tell you more because I don't want to ruin a suprise(violate nda don't worry it's just a joke)so see ya later guys.Not so top secret news now,huh?No more leaked informations for now.You have to wait first.I kept you waiting,huh? Last edited by luke11685; Mar 24, 2019 at 09:43 AM. 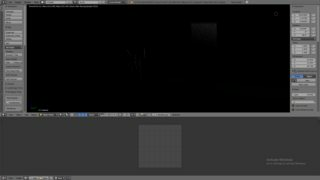 I had minor problems with camera(I fixed it anyway) so it took me several hours to make at least a some small changes.